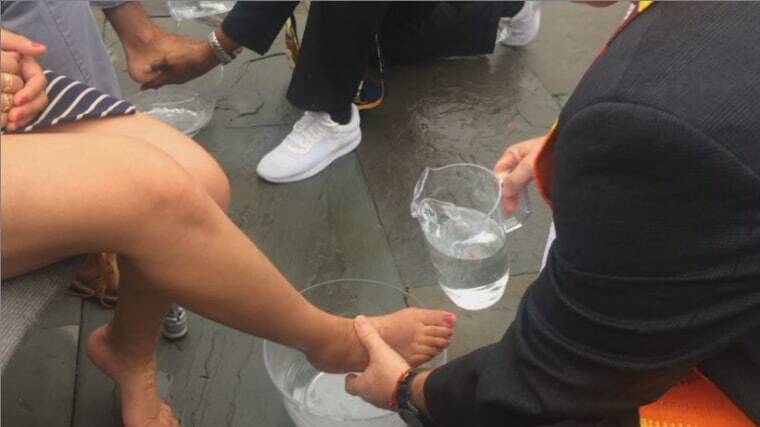 WASHINGTON — Clergy members knelt on wet concrete in front of the Capitol Wednesday and carried out a Christian ritual by washing the feet of young immigrants whose temporary relief from deportation is in peril. The clergy said they were following in the footsteps of Christ who did the same for his apostles on the night of the Last Supper. But they also said they wanted to step up pressure on Congress to ensure that Deferred Action for Childhood Arrivals, or DACA, doesn’t come to an end on March 5, without a law signed by President Donald Trump giving young immigrants a way to remain in the United States and work. The Rev. Reuben Eckles, a pastor with Church World Service, poured water from a plastic pitcher over the feet of Irvin Enriquez, 28, of Washington state, who was born in Mexico City and has DACA; he has been in the U.S. 18 years. “As this president has abandoned DACA recipients, as people of faith, we are calling on Congress, the administration and the broader public to pass the Dream Act,” Eckels said, referring to legislation first proposed in 2001 that inspired the moniker "Dreamers" that young immigrants use to describe themselves. “This foot washing is a celebration and a call to service, it is a celebration because even though it looks like hope has been lost, we will be victorious. In the end, we will be victorious,” he said. President Donald Trump is ending DACA on March 5, 2018. He has said the deadline forces Congress to come up with legislation dealing with DACA recipients, although he has not said how he'd like to see it done. Karen Perez-Wilson, 23, of Madison, Wisconsin, grabbed the hand of fellow DACA recipient Yesenia Villalpando, 22, also of Madison, as their feet were bathed with water. 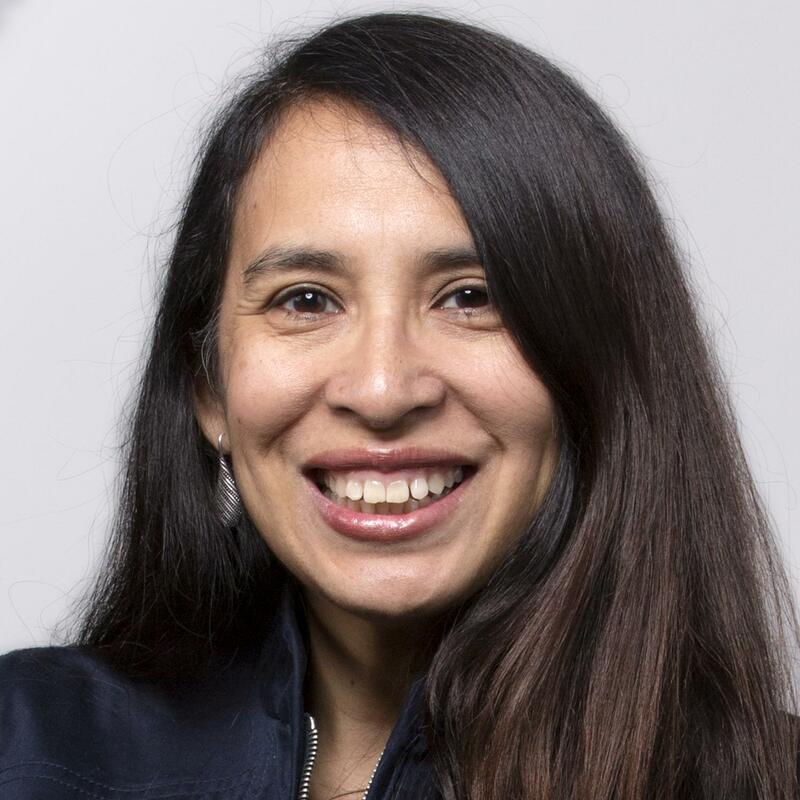 “It goes to show that we are a community and we have to help each other regardless of our position, you know, some of us have power and others don’t,” Perez-Wilson said. “We are humans at the end. When Jesus was washing the feet of people that (others) didn’t want, it was to show we have to do this. We are brothers and sisters. We are no different from them,” she said. Valeria Ruiz Lira, 21, of Racine, Wisc., also a DACA recipient, said she was moved by the experience.